New Delhi: Opposition parties today asked the government to introspect on alleged failure to prevent the "cowardly and ghastly" terror attack on Amarnath yatra pilgrims despite advance intelligence inputs. Eighteen opposition parties, which met at Parliament Library to decide their vice presidential candidate, unanimously passed a resolution against yesterday's terror strike, which they termed an attack on humanity and on India's plurality and diversity. "The government needs to introspect as to why, despite advanced intelligence inputs, was there a failure to prevent this attack?" the resolution said. "We the leaders of the opposition parties strongly condemn the cowardly and ghastly terrorist attack on the Amarnath yatris," the resolution said. The parties, the resolution added, extended their deepest sympathies to families of the victims with whom they stood in this hour of grief. "This is an attack on humanity. This is an attack on the plurality and diversity of India. This is an attack on the human values and Kashmiriyat. We call upon the government to use all the resources at its command to bring the real masterminds and perpetrators of this inhuman act to justice," the resolution said. Congress Vice President Rahul Gandhi called the attack "grave and unacceptable security lapse" and asked Prime Minister Narendra Modi to accept responsibility. "This is a grave and unacceptable security lapse. The PM needs to accept responsibility and never allow it to happen again... India will never be intimidated by these terrorist cowards," Mr Gandhi tweeted. 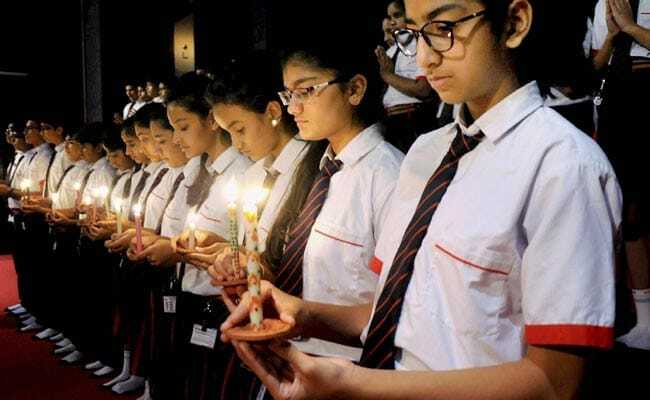 Leader of opposition in Rajya Sabha Ghulam Nabi Azad said the leaders of 18 opposition parties observed a two-minute silence at the start of the meeting in memory of the Amarnath yatris who died in the terror attack. Seven people, including six women, were killed last night when terrorists attacked their bus. The meeting was convened by Congress President Sonia Gandhi and attended by former Prime Ministers Manmohan Singh and HD Deve Gowda. Other opposition leaders who attended include Sharad Yadav, Sitaram Yechury, Sudhakar Reddy and Derek O'Brien, among others. Omar Abdullah and Praful Patel also attended the meeting.